Product Description: Lun (Jay Chou) lives with his father, Chiu (Anthony Wong), the music teacher of Tamkang Secondary School. Both of them are very good at music and piano. This is the first day Lun admitted to Tamkang Secondary School. 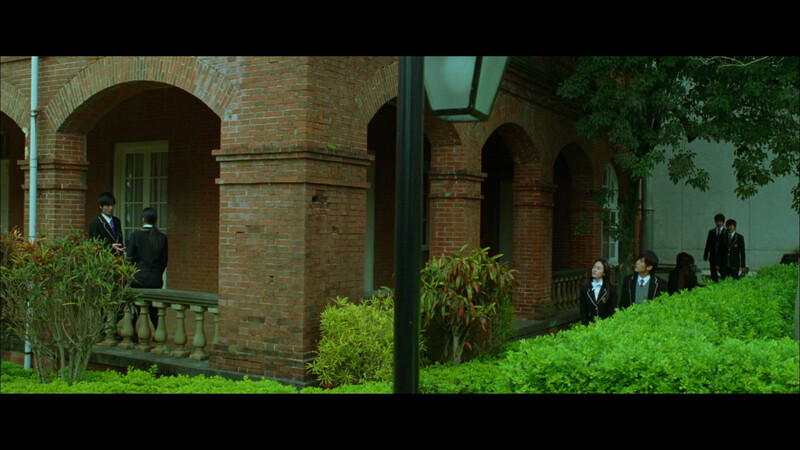 When he walks through the campus with his classmates, a mysterious piano solo draws his attention. He follows the song and finds that an ethereal girl is playing piano in the old music room. Having already proven his acting chops and box office draw with the blockbusters Initial D and Curse of the Golden Flower, Taiwanese singer Jay Chou makes his directorial debut with the romantic drama Secret. 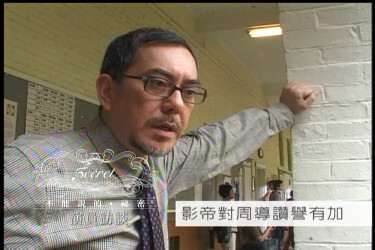 In addition to starring and directing, Chou came up with the original story and music for the film and he proves to be remarkably assured on all counts, making Secret one of the most pleasant surprises of 2007. While the director himself is still a relative newcomer to acting, co-stars Anthony Wong and Guey Lun Mei (Blue Gate Crossing) are both extremely talented actors, with Guey giving an especially captivating performance as the film's mysterious female lead. Chou also smartly plays to his own strengths by displaying his piano skills on screen and enlisting friends Yu Hao, Zhang Jie, and Devon of Nan Quan Mama as supporting cast. An affecting mix of puppy love, suspense, and wistful tunes, this sweet, subtle, and engaging film adds another notch to Chairman Chou's long list of accomplishments..
High school student Jay (Jay Chou) just transferred to the school that his father (Anthony Wong) is teaching at. 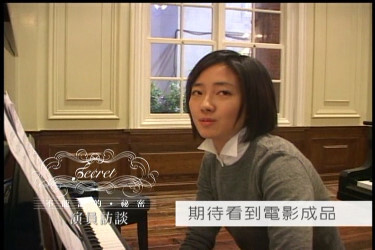 On his first day, he meets cute and coy classmate Rain (Guey Lun Mei) in the piano room. The two immediately hit it off and develop a shy romance around piano playing and bike riding. Despite their close relationship, Rain remains mysterious and distant as she is often absent from school and seems to be full of secrets. When Jay tries to inquire further, she whispers to him that she has a secret that cannot be spoken, a secret that can tear them apart..
A pretty competent, if not brilliantly stellar, new Blu-ray from Edko. Jay Chou's Secret in 1080P looks very good balancing nicely between crisp detail and an occasional soft palette of colors. Image quality is fairly consistent and the film has scenes that can look quite striking. Although not displaying the extravagant attributes of some large budget production on dual-layered discs - I expect this looks accurate to the theatrical intent. Noise is quite minimal and I don't see any DNR used to compensate for deficiencies and the image is fairly smooth and unblemished. It's only real complaint would be that detail is a notch below what some have come to expect from a Blu-ray image - but it still towers above any SD counterparts. I suspect fans of the film will be impressed with the visual appearance of this Blu-ray. Although not-at-all an action genre film - the two more verbose tracks - Mandarin (DTS-HD Master 7.1 Surround) and (Dolby Digital 6.1 Surround) - are spot-on with some decent rear speaker action, infrequent - but potent - bass response and crisp dialogue. It's obviously not the most aggressive track on the market but it does a splendid job representing the lilting film score and clean piano music to premium levels. It supports a decent mid-range as well and overall is surprisingly, and subtly, strong. 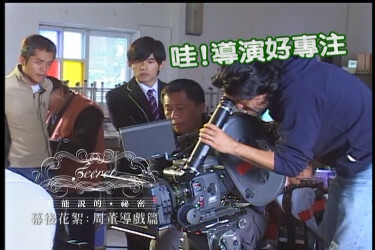 English, or traditional Chinese optional subtitles are offered - at times in a rapid clip. Supplements are limited with a 5 minutes making-of - in SD - and the like. No commentaries or extensive featurettes, interviews (although some of the cast give sound bites in the 'Making of...') etc. This Blu-ray is really just the film in 1080P. Well, it's great to see a company like Edko on top of Blu-ray distribution and doing it with some competence in the transfer - if essentially it's just bare-bones extras. The film itself gets a thumbs up. It was well crafted and touching - I was both surprised and impressed with my response. The image and audio shouldn't disappoint anyone and many may be quite taken with the film - especially in this Blu-ray transfer.